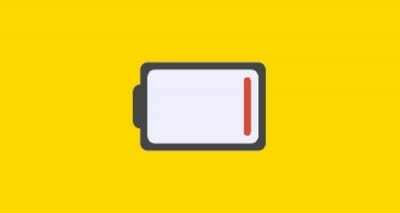 Does Wi-Fi Consume More Battery Power Than 3G or 4G/LTE? Phone geeks have argued about whether or not Wi-Fi consumes more battery power than 3G or 4G/LTE since the birth of the modern smartphone. Some will swear that Wi-Fi is the only way to go. Others say that leaving Wi-Fi off and connecting to the 3G or 4G wireless network works best. But, no matter which side of the fence you’re on, both Wi-Fi and 3G/4G can be considered better or worse for precious battery life depending on the situation. Most devices automatically shut 3G and 4G off when they are connected via Wi-Fi. When connected to a Wi-Fi network, the device will consume significantly less battery power. It’s especially true with 4G, since the technology consumes a large amount of power. Why Does 4G Really Drain Your Battery So Much? Ask anybody, including the people working for your wireless provider “Why does 4G drain the battery so fast?”, and you’ll most likely get a response like, “It’s more powerful, so of course it uses more power.” Well, that isn’t entirely true. It’s way more complex than that, and none of the reasons really have anything to do with the 4G technology itself. Currently, wireless providers such as Verizon Wireless have setup their 4G/LTE enabled devices to connect to both the 3G and 4G networks simultaneously. That means your phone is working twice as hard to maintain a connection, and therefore using twice as much power to maintain a connection. Whenever you make calls or send and recieve a text messages, the 3G radio has to pause. This changing of radio states causes an extreme strain on the battery. When you are traveling, your wireless device has to constantly switch towers to keep you connected to the network. This is called “handover”. With the way Verizon has things configured (LTE to EV-DO) the handover drains your battery faster than it would with a 4G/LTE only connection. So really, 4G is not to blame for your phone needing a charge four times a day. It’s the archaic way the devices and network are configured. Off course, it’s probably configured that way for a reason none of us would understand. Anyway, read page 5 of the “What is LTE?” post over at ExtremeTech for a way more detailed (and awesome) description. What Can I do to Save Battery Life? However, if your device is not connected to a Wi-Fi network, it’s best that Wi-Fi be disabled and that you utilize a data connection from your wireless network. Otherwise your device will constantly search for a Wi-Fi connection and kill your battery in the process. If your device is not in range of Wi-Fi, 3G, or 4G, it’s best you put your phone into Airplane Mode until you have coverage again. The constant searching your device does for a signal is what drains power the most. Try to stay connected to a Wi-Fi network for best results. When you can’t connect via Wi-Fi, disable it. When you can’t connect to anything, enable Airplane Mode. Is there a chance that an app is running in the background, trying to access the network? Some apps are badly programmed and try to access the network even when it’s disabled. I’m glad your post confirmed my hunch that’s WiFi is easier on the battery than 4G. My question: how is my phone drain so much more than WiFi when in airplane mode? On WiFi the drain is 0.6-0.8% per hour, but airplane drains 1.6-2.2% per hour. WiFi and 4G were shut off, too. Suraj yes it’s true it does. It’s an obvious one. I think 4G mobile data connection uses more battery power than 3G. I’m saying this as per my own experience.